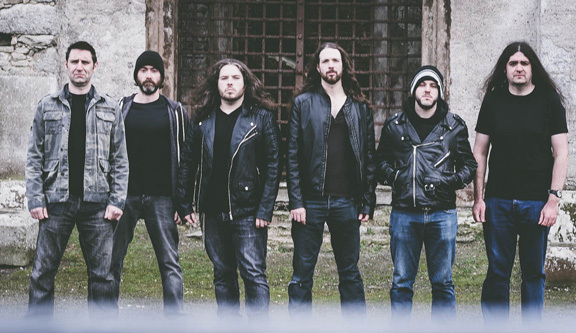 The history of Irish metal band Old Season is something not uncommon to many bands. Formed in 2003, the band quickly cut an EP Volume One in 2004, but it would be a long five years before their debut, Archaic Creation hit the streets. Then came the issue of ongoing personnel changes. Undaunted, what members remained spent the time writing songs and patiently auditioning for the positions of vocalist and second guitarist. By 2013, the line up solidified with John Bonham (Vocals), Jimmy Blanchfield (Guitars), Jimmy Kiernan (Guitars), Dave Copley (Bass), Dermod Smyth (Synth), and Anto Walsh (Drums). 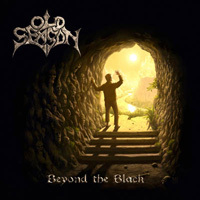 Now Old Season drop their long awaited second album, Beyond The Black for Pure Steel Records. And it's a pretty good album. The larger musical context of Old Season, perhaps suggested by their name, is classic melodic heavy metal firmly rooted in the New Wave of British Heavy Metal tradition. But being Irish, the gang might bristle at that connection. Nevertheless, when it comes to classic "keep it true" heavy metal there is no old school, or old season, nor are there geographical or generational boundaries. Traditional heavy metal transcends, even trumps, both things. The essential elements are self-evident in the Old Season sound: twin guitar harmony in riffage and leads, a solid rhythm section to deliver groove and pacing, and clean melodic vocals and harmonious vocal arrangements, with these things wrapped up in an abundance of melody. Put together, in many arrangements, Old Season has a true depth and breadth for that epic heavy metal sound. While riffage is dense, leads soar in a near limitless fashion, not just in solos, as within The Journeyman. The bottom end braces this layer with an equally deep and strong feeling. It's a sound meant to swell and fill whatever space is listening, your head or your local concert venue. Perhaps the best example of these elements gelling together is the parting song Nevermore, where riffs and leads, rhythm and groove, conspire with heaviness and the juxtaposition of moderate to brisk pacing to deliver epic heavy metal. Additionally, in some songs like Chosen or Rivers Of Cepha, you might sense a bit of a darker doom metal motif. (Perhaps a nod to Candlemass.) The pacing is more measured and moderate in both. In the latter song keyboard player Dermod Smyth finally gets a chance to rise, starting the song with ominous Hammond organ. Yet, his presence is slight across the entire album, with the next notable contribution being the synth orchestration at the start of Words From Beyond. In the end, I was easily impressed by Old Season's Beyond The Black and their significant command of classic "keep it true" heavy metal. While it brought me back to the early days of heavy metal, the album also felt vibrant and relevant for today. But, as I said before, genuine classic melodic heavy metal transcends both generations and time. Old Season's Beyond The Black is quite recommended. I was easily impressed by Old Season's Beyond The Black and their significant command of classic "keep it true" heavy metal. While it brought me back to the early days of heavy metal, the album also felt vibrant and relevant for today. Very recommended.